My last trip to the post office will be Monday, December 17th to allow for Christmas deliveries. Please have your photos to me by Wednesday, December 12th, so I have time to create your beautiful photo flag, tote bag, apron and/or pillow. Continue to make very special Aprons, Flags, Tote Bags and Pillows filled with your precious photos and special words. I wish I could share all of the beautiful creations, but most are gift surprises. Please visit my Facebook Page: Remembering Quilts to see more of my work. I have a great assortment of material for quilts and pillowcases too... just need your precious photos to make the perfect gift. Also updated my inventory for garden flags, ready to add your special photos. I am working on all orders for Christmas. I have made many collages, all require input approval from the buyer before I can print the fabric panel, sew and ship. I will take my last Christmas orders thru Monday, DECEMBER 11th to ensure delivery. 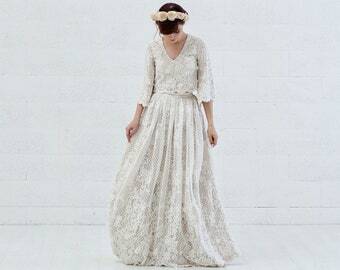 I am also anticipating my daughter's delivery, she is expecting her first baby on December 21st and I want to make sure all my orders are completed as my granddaughter's arrival approaches. Today I was adding a new Pillowcase and looked at my Announcement updates and realized that I travel cross country every month, sometimes twice a month to babysit the grandchildren and since I have a workroom home in Maryland and at my son's house in Washington I can complete most orders within 2 weeks. Photo Quilts will require more time. I have 4 summer round trip cross country tickets for my monthly trips from Maryland to Washington... babysitting the 3 little grandchildren. I leave Monday, June 26 for the first trip. I have a workshop at my son's house too and can continue to make "Photo" Garden flags, Remembering Flags, Tote bags, Aprons, Pillow cases, Pillows and Fabric panels... but it could take up to 2 weeks to complete and mail. Heading back home after a very busy 2 weeks of babysitting and ready for Etsy orders. Once I have your photos, you should have your pillow, flag, apron or tote bag complete within a week. If you are ordering a quilt, once your photo collages are made, your quilt can be sewn within two weeks. 04/29/2017 I am finishing several Mother's Day orders this weekend, then I will be traveling back to Seattle to spend time with the grandchildren. 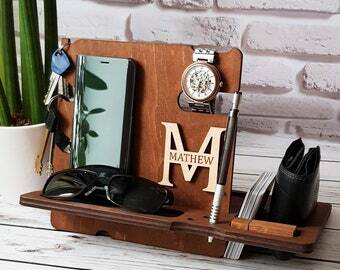 I can still accept orders but there is no guarantee that photo gifts can be completed by Mother's Day. 12/27/2016 I am back from a wonderful two weeks with family in Washington State. It was a special time with three little grandchildren living on the west coast missing their trips to Grandma's in Maryland. I am ready for orders for the new year, photo tote bags and photo aprons especially make a great personal gift all year long and I am always ready to make a precious Remembering Flag. I look forward to your questions !!! Today I am mailing the Remembering Flag I made yesterday, creating a precious collage for a new Remembering Flag, mailing the beautiful pillow case I made for a Gold Star child, a beautiful Gold Star Wife and daughter we connected with through Operation Ward 57, and working on my Etsy orders, two tote bags, 2 aprons and one pillow, all filled with precious photos of people and/or their pets. And... I will be working on my grand daughter's special order for her teachers, tote bags with a holiday card she is creating for each present. A busy beautiful days, I look forward to your orders in the new year, each with a special story filled with your precious photos. I hope you have a beautiful holiday season. 6/14/2016 Today I finished several tote bags, pillow cases, pillows and aprons. Thursday I begin babysitting the grand children more frequently as my Navy son and daughter-in-law transition from the East Coast to the West Coast. My daughter's wedding was amazing, perfect weather with fantastic family and friends, and now the focus is on a wedding in August, I also have a son getting married. I will always continue making Remembering Flags for Gold Star Families but my other orders make take longer to fill. 5/2/2016 Today I finished 10 photo tote bags, orders for Mother's Day gifts. I now need time to work on a few projects for my daughter's wedding in our back yard June 4th. I will continue making Remembering Flags and duplicate Remembering Flags but I will need to wait on creating photo tote bags, pillows, aprons and quilts for the month of May. Please message me if you have a special request that you need ASAP. aired on WABC TV on April 29th at 7 pm. I am soooo excited having the chance to share my story about my Remembering Quilts, Remembering Flags and Pillows. I make Remembering Quilts, Pillows, Flags, Tote Bags and Fabric Panes for your own creations. At RememberingQuilts, I provide assistance by sequencing personal photos in a series of collages to tell a unique story in lieu of individual pictures. 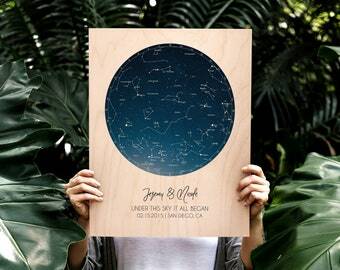 Labeling the pictures within each collage or adding names, mementoes, or labels to place further emphasis on the story or purpose where needed is a part of a personal choice and the design service offered. ... Proclaim "This Is My Life"
Custom photograph collages facilitate conversation about the remembering photos and named people, stimulating the memory and enhancing its effectiveness with a caregiver, even when family members are not present. Make your own Quilt, Pillow or Tote. I will create your Photo Collage Pictures on Pretreated Photo Fabric printed with Pigmented Ink. A Wonderful Way to use Cherished Photos and Text to Honor and Remember your Fallen Hero. 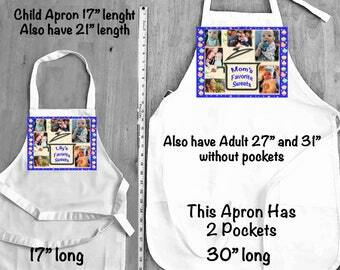 2 Photo Aprons - Matching adult and child with the same 8 in x 10.5 in Photo Collage with up to 8 photos on each apron. PHOTOS on FABRIC Panels 8.5 in x 11 in. TWO Collages of your Pictures, Scanned Images and Text Printed. Make your own quilt or pillow. Remembering Quilt for a Grandma. 5 Fabric Photo Collages are covered to show a beautiful fabric selection. REMEMBERING FLAG is damaged. Needs to be replaced. Perfect item. Easy communication to get exactly what I wanted. 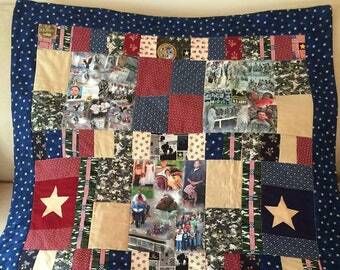 I make Remembering Quilts, Photo Pillows, Flags... I Capture Your Memories on Fabric with Your Photos and Text. I made my first Remembering Flag for Gold Star Terry Hardin May, 2012 in memory of her Fallen Hero, her son SPC Kevin Hardin. It will be my privilege to make you a Remembering Flag. I make a Remembering Flag For A Gold Star Parent without charge as my personal way of Honoring Your Fallen Hero. I do make additional Remembering Flags for a special price, $28, for family members. I have made several Remembering Flags, Pillows and Quilts for Gold Star Families and I have posted information for the Remembering Flags for our Fallen Heroes in my Etsy Shop: https://www.etsy.com/listing/100772262/duplicate-remembering-flags-for-gold?ref=shop_home_feat with a special price $28 or you can mail a check to my home address. I started making the Remembering Flags before Memorial Day 2012 to bring a little comfort to Gold Star Families I connected with on Facebook and plan to continue my personal mission to Honor and Remember our Fallen Heroes with their precious photos and special words. My husband is a retired Naval Aviator. My oldest son is a Naval aviator and Iraq veteran and my daughter-in-law is in the Coast Guard and thus we all see how my photos on fabric can bring some comfort to the families and friends of our Fallen Heroes. While flying a late night mission over Baghdad in 2007, my son took the background photo of a sunrise I use in many of the collages. Thank you for visiting Remembering Quilts where you will find a blend of the best technology has to offer today with the traditional warmth and caring of a family quilt. Large labeled photos for easy viewing emblazoned on a warm and comfortable quilt can trigger memories of those with Alzheimer’s or a similar Dementia and even facilitate caregiver interaction when family members are not present. As each quilt is custom made for a unique individual, a refund is not possible. However I believe in customer saisfaction. If you have an issue with one of my items please contact me and I am certain we can resolve it to our mutual satisfaction. I accept payments through Paypal. It is a safe and easy process, and doesn't require you to sign up for an account. You can just use your credit card. I will also accept US Post Office Money Orders. All payments must clear before the item is created. Quilts are shipped gift ready. Please let me know in the “Message to Seller” section if you would like it shipped directly to a gift recipient. All items shipped within the US are shipped Delivery Confirmation. Please contact me with questions about the photo fabric collages and fabric color choices. Every product is a custom order and I am available to answer your questions through email: Helen [!at] RememberingQuilts.com or phone: 301-704-1479.